We have the entire inventory of the South Florida Weston homes, Weston condos including Weston waterfront properties and Weston luxury properties for sale! Whether you are a first time buyer or a real estate investor, you will find in our South Florida MLS, a comprehensive database of Weston waterfront homes, and Weston waterfront condos for sale in surrounding South Florida (FL) communities. Properties for sale include Weston luxury homes and Weston luxury condos. This website is a helpful and valuable source of information and insight into the Weston real estate market. Bright 5 Bedrooms 4 Bathrooms House With Lake And Pool. One Bedroom And Full Bathroom On 1st Floor. New Kitchen With Quartz Counter Tops And Stainless Steel Appliances & 42 Wood Cabinets, Modern Wood Floors Throughout , Upgraded Bathrooms. Closets Galore. Pool With Screened Patio. Gated Community With Amazing Club House, 4 Pools, Water Slide, Mini Golf, Basketball Court, Soccer, Playground, And More To Mention. Unique Mystic Model In Savanna. Circular Driveway. 1 Story Triple Split Home Consisting Of 4 Bedroom, 3.5 Bathrooms, Den & 3 Car Garage Plus A 2nd Story That Can Be Used Many Ways. It Features A Nice Size Bedroom, Full Bathroom & Living Area. See Floor Plan In The Photos. There Is A Jack And Jill Bath For 2 Of The Bedrooms As Well As A Private Full Bedroom & Cabana Bath On Opposite End Of Hall. Two Light Fixtures Do Not Convey. Please Inquire When Viewing. Fully Fenced Yard, Lake View With Pool & Spa. The Perfect Family Home For Entertaining. Lovely Family Room Built In Wall Unit. Great Schools, Neighborhood. Close To Shopping & Entertainment. A Must See. Stunning And Highly Desirable Estate Situated In Man Gated Boutique Community Offering Privacy And Tranquility. Featuring 7 Bd / 6 Fb/ 1 Hb, Custom Office, Movie Theater, Bar, Exercise Room W Sauna And Game/billiard Room. Beautiful And Very Spacious Chefs Gourmet Kitchen W Miele Appliances & Expresso Maker. Custom Features, Finishes & Dramatic Architectural Design. Marble Floors, Soaring Ceilings, State Of The Art Security And Lighting Systems. Outdoors Is An Entertainers Paradise With Lush Landscaping And A Relaxing Pool And Spa. With An Abundance Of Lavish Amenities And Comfortable Living, This Is Truly A Place You Will Be Able To Call Home. Weston With Its A+ Schools, Award Winning Parks, Biking And Walking Trails, Always Ranks As One Of The Top Places To Live In The Us. New Construction In The Prestigious Community Of Windmill Reserve In Weston, Florida. Renowned Builder, Brookman Fels Has Created A Transitional Modern 2 Story Home With All Of The Finest Finishes. Overlooking An Expansive Lake, This Oversized Lot Has The Most Beautiful View In The Community. The Front Doors Open To An Expansive Living Room Overlooking A Custom Pool And Impressive Backyard Experience, Complete With A Summer Kitchen. Volume Ceilings With Decorative Lighting Create A Elegant Setting In Every Room Including Hallways. This Unique Home Offers A Guest/mother In Law Suite For Multi Generational Families. An Oversized Garage Fits Multiple Cars With Plenty Of Room For Storage. Weston Has A Rated Schools And Voted The 3rd Safest City To Live In The United States. 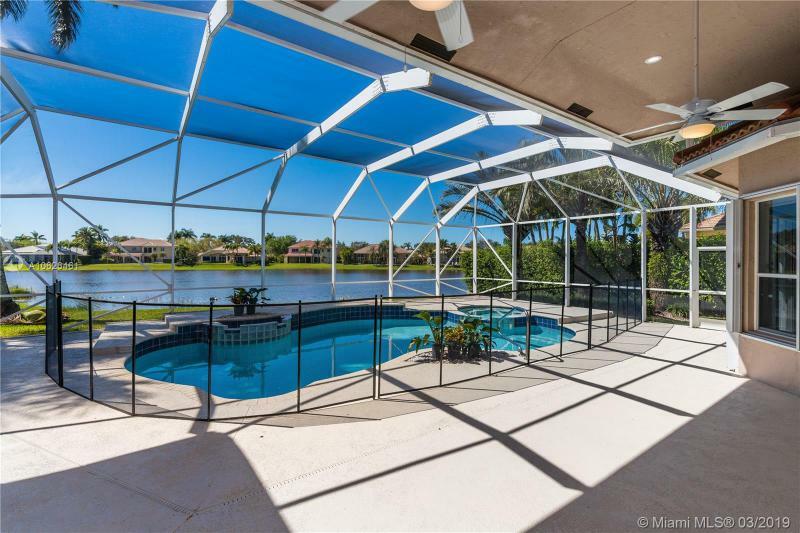 Gorgeous Waterfront/courtyard Home In Weston Hills. 4 Bedrooms, 3.5 Bathrooms. Roof From 2016. Open Concept, Split Plan, In Law/guest Suite, Vaulted Ceilings, Dazzling Views From Every Room, Multiple Areas For Entertainment, Elegant Marble Flooring In Social Areas, Hardwood Floor In Rooms. Gourmet Kitchen With Top Of The Line Stainless Steel Appliances And Granite Counter Tops. Heated Pool/spa. Master Suite Overlooking The Lake, Walk In Closets, Large Master Bathroom, Dual Sinks, Large Utility Room, 2 A/c Units, Screened Patio, 2 Car Garage, Accordion Hurricane Shutters. Hoa Fees Include Lawn Maintenance , Fertilization, Pruned Tress And Exterior House Painting. Meticulously Maintained And Ready To Move In. This Stylish Chad Oppenheim Designed Home At Botaniko Weston Was Crafted With Regal Ingenuity. It Has 6 Bedrooms, 6.5 Bathrooms, And 4,044 Square Feet Of Living Area, Gold Calacata Tile, And An Upstairs Lined With Oak Hardwood. The Kitchen Boasts Of Italian Made Kitchen Cabinetry By Italcraft, An Integrated Subzero 48 Wide Refrigerator And Freezer, And A Danby Wine Captain Cooler. It Is Equipped With An Electric Wall Oven And Gas Cooktop By Wolf With Five Custom Built Floor To Ceiling Closets With Decorative Drawer Fronts,salt Water Pool, Sourrounded By A Glorious Landscape,summer Kitchen Completes Outdoor Oasis. Fully Furnished By Artefacto And Filled With Tesoro Material, This Home Is Made For Dreams. Beautiful Pool House On The Lake In The Islands. Walking Distance To Town Center. Upgraded Kitchen With 42 Inch Cabinets, Granite Countertops And Stainless Steel Appliances. Enjoy This Stunning Lake Views From The Master Bedroom Balcony. Accordion Shutters Throughout. Freshly Painted In Neutral Colors. Brand New Porcelain Floors On E First Floor, Laminated Floors On Stairs & Bedrooms. Master Bathroom Just Remodeled. Brand New Rollups Fixtures On All Windows. New Ac Units (1yr). Roof 5 Years Old. Very Well Maintained Pool And Spa. Owner/agent Occupied 24 Hours Notice. 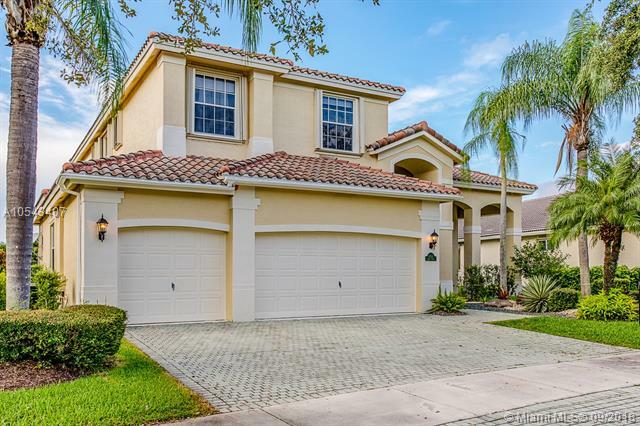 Beautiful One Story Home At Eagle Run In Weston Hills Overlooking The Lake, 5 Bedroom Plus Den, 4 1/2 Bath, Accordion Shutters, Lake View, House In Pristine Condition, Granite Counter Tops, Stainless Steel Appliances, Huge Family Room. Excellent Schools Make This A Great Family Home In A City Designed For Family Living. Great Home With Pool And Lake View!!! 6 Bedrooms And 4 Bathrooms, Large Master Bedroom And Bathroom, Walking Closets, Screening Patio, 2 Car Garage, Low Association Fee, Gated Community, Good Schools.easy To Show, Call Listing Agent. Botaniko Weston Will Offer A Sophisticated Collection Of 125 Architecturally Distinctive Homes Designed By Architects Chad Oppenheim And Roney J. Mateu, Landscape Design Workshop And Interior Designer Venus Williams. This Two Story Residence O4 Model Features 6 Bedrooms, 9.5 Baths, Summer Kitchen, 6,187 Sf Of Indoor Area And 2,584 Sf Of Expansive Outdoor Area Totaling 8,771 Of Living Space With An Integrated Swimming Area And 3 Car Garage. Beautifully Updated Family Home With Pool And Gorgeous Lake View In Sought After Cypress, Weston Hills Country Club. 4,223 Sqft, 6beds/5baths. Huge Screened Patio For Enjoying Outdoor Life And Incredible Sunsets. 3 Way Split Floorplan With Ample Family Room And Breakfast Area. Lots Of Natural Light. Modern Home Totally Upgraded With New Designers Touches: Spot Lighting Throughout, Brand New Kitchen With Optional Colored Led Lightning, Sparkling White Quartz Tops. Soft Close Features And Handless. Italian Materials And Components And New Top Of The Line Appliances. New Bathrooms With Wall Mounted Vanity Sets Custom Built With Italian Materials, Handless Doors. Calacatta Tops And Ceramic Vessels. 2012 Roof. Hurricane Shutters. Gated Country Club Community With Security, Clubhouse And Golf. 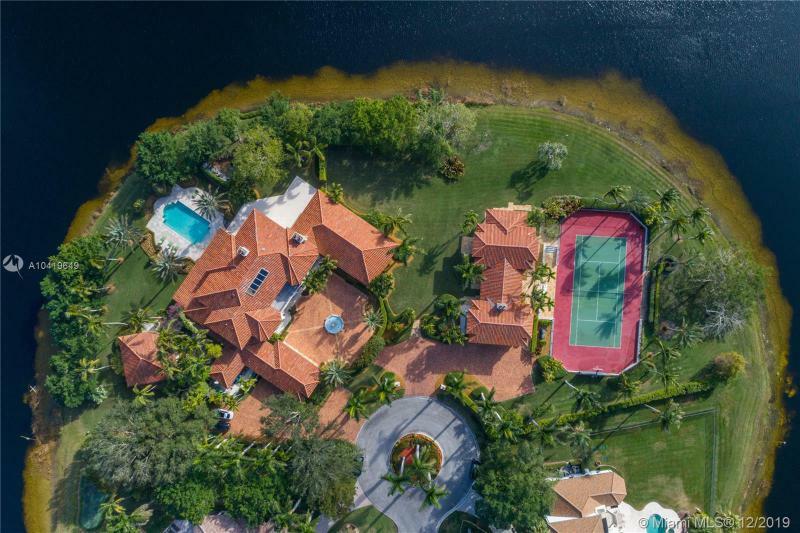 The current state of the real estate industry has become a buyer’s market offering vast opportunities for Weston short sales, Weston foreclosures and Weston bank owned reo properties for sale. This is a great time for buyers interested in luxury foreclosures and luxury short sales. Our team of highly experienced South Florida real estate Agents will guide you to buy or sell luxury penthouse condos, commercial properties, single family homes and waterfront real estate. In short, we are your complete guide to South Florida Realty. Beautiful 2 story house in Savanna, 4 Bedrooms, 2.5 bathrooms in pristine condition, updated kitchen stainless steel appliances, new bathrooms, new roof, new AC, Private Lot, Huge back yard, cul _de _sac , master bedroom first floor, lake, ready to move in, community with great amenities including a community resort style pool, club house, basketball court, playground and a 24-hour maned guard gate, excellent schools, call listing agent to make an appointment. Exceptional 5/3 one story home with 3-car garage, screened pool, fabulous lake and golf course view in exclusive gated Weston Hills CC. Many featured upgrades include built-in cabinetry in family room. Family room is pre-wired for 5.1 surround sound system. Coffered ceilings in master bedroom and dining room. Hardwood Maple kitchen cabinets, stainless steel appliances and granite counter tops. Blinds throughout, plantation shutters in some rooms. High quality laminate wood floors and and neutral 18 ceramic tiles throughout. 5th room is a den, can be used as a small bedroom. Oversized screened pool deck patio. Heated diamond brite pool, spa and waterfall, heater and salt purification system. Dual zone A/C. Hurricane shutters throughout. BOTANIKO WESTON WILL OFFER A SOPHISTICATED COLLECTION OF 125 ARCHITECTURALLY DISTINCTIVE HOMES DESIGNED BY ARCHITECTS CHAD OPPENHEIM AND RONEY J. MATEU, LANDSCAPE DESIGN WORKSHOP AND INTERIOR DESIGNER VENUS WILLIAMS. THIS TWO-STORY RESIDENCE O4 MODEL FEATURES 6 BEDROOMS, 9.5 BATHS, SUMMER KITCHEN, 6,187 SF OF INDOOR AREA AND 2,584 SF OF EXPANSIVE OUTDOOR AREA TOTALING 8,771 OF LIVING SPACE WITH AN INTEGRATED SWIMMING AREA AND 3 CAR GARAGE. NEW CONSTRUCTION in the prestigious community of Windmill Reserve in Weston, Florida. Renowned builder, BROOKMAN-FELS has created a transitional modern 2 story home with all of the finest finishes. Overlooking an expansive lake, this oversized lot has the most beautiful view in the community. The front doors open to an expansive living room overlooking a custom pool and impressive backyard experience, complete with a summer kitchen. Volume ceilings with decorative lighting create a elegant setting in every room including hallways. This unique home offers a guest/mother-in-law suite for multi-generational families. An oversized garage fits multiple cars with plenty of room for storage. Weston has A-rated schools and voted the 3rd safest city to live in the United States. Yes! You found it! Your dream home! Amazing floor plan and impeccable taste! You will be in love with this 5 bedrooms and 3 baths house, in the prestigious Weston Hills. All you need in one place, lake view, pool, magnificent BBQ area, great kitchen with S.S appliances, among other upgrades. This house has everything you could wish for! Tucked on a quiet royal palm tree lined street. This versatile Melrose model boasts long lake views lushly landscaped for privacy. Enjoy your sparkling pool/spa with pavers, fully fenced with large overhang and room for play set. Grand circular paver driveway welcomes you home. 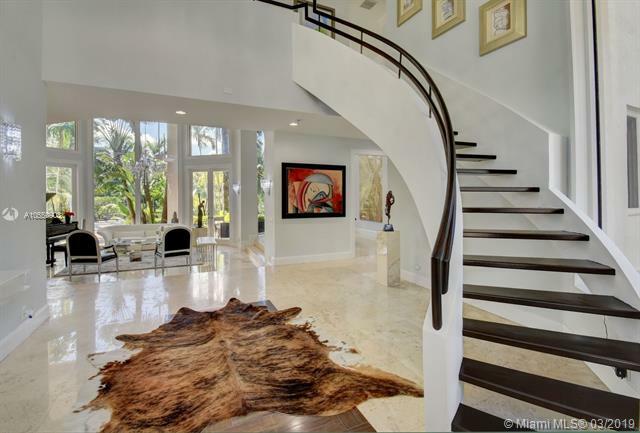 Enter this elegant home with gleaming marble flooring throughout living areas. Newly renovated Wolf in the Woods chefs delight kitchen, open concept with grand center island and bar, top of the line Stainless Steel appliances, Wolff Double Ovens, GAS cooktop and so much more. All french doors throughout, wood in all bedrooms. Extensive crown moldings, decorator window treatments add to the charm of this decorators delight.Brand New Roof 2018, full accordion protection, cabana bath. 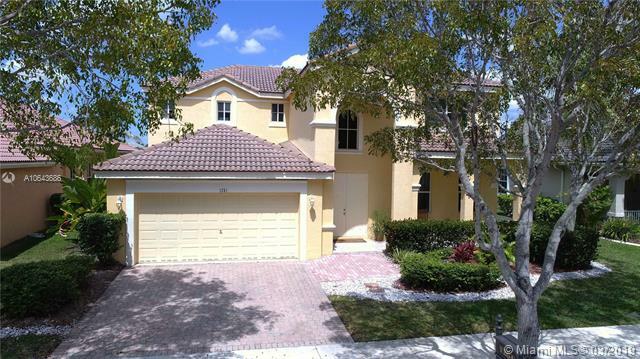 Magnificent Waterfront 4 bed/3 bath residence in prestigious Weston Hills Country Club community. A perfect open layout specially design for entertaining! Enjoy your morning coffee overlooking this attractive and serene pool-lake view. This property features split bedrooms- Kitchen with electric appliances about 4 years old. Washer-Dryer 3 years old- High Impact windows in the front of property and High Impact Glasses sliding doors in the back. Fully screened patio. The relaxing pool has being totally resurfaced and the pool electric equipment replaced 3-1/2 years ago, pavers surrounding the pool were replaced same time - A.C. Equipment 4 years- Actually undergoing complete Re Roofing. Great schools and easy access to I-75. Do not miss this opportunity! BOTANIKO WESTON NEW 2018 HOME DESIGNED BY ARCHITECT CHAD OPPENHEIM. LANDSCAPE ARCHITECTURE BY LANDSCAPE DESIGN WORKSHOP AND INTERIOR DESIGNER VENUS WILLIAMS. Adorable 4 Bedrooms + staff Room + Media Room / 5.5 Bathrooms, 3 Car Garage, completely upgraded with high end finishes, patio kitchen/BBQ, Smart Home System, hurricane impact windows, beautiful pool looking towards the lake. READY TO MOVE IN! Remodeled to perfection! 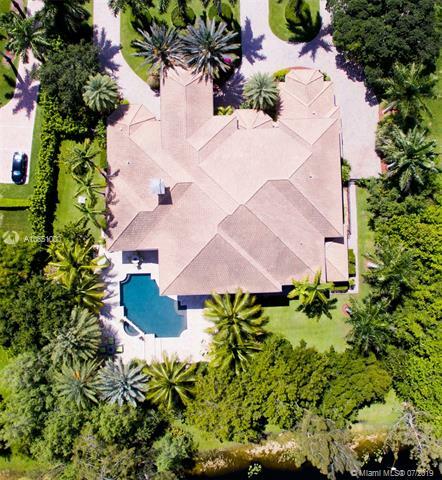 This beautiful home is located in the coveted walkable and well-maintained neighborhood of Palm Island. It is close to great shopping centers and fine dining. Some of the wonderful features include a remodeled kitchen with a large island (ideal for entertaining) Stainless steel appliances, granite counter tops and beautiful marble floors along with a designated home office. This homes high ceiling and large windows allow for an abundance of natural light. The master suite has a gorgeous view of the water and private backyard where you can enjoy beautiful sunrises and sunsets. YOULL LOVE MAKING MEMORIES IN THIS HOME!! Must see 2-story home in the heart of Weston. This rare find has 3 full baths, 5 bedrooms with a master suite, two car garage, family & living room, laundry room, foyer, vaulted ceilings, swimming pool with tranquil lake view are great for relaxing and entertaining. A+ schools, shopping, & parks nearby. Close to I-75 and I-595. Its move in ready! Tenant occupied until the end of May but easy to show. Please contact agent for showing instructions. Elegant lakefront residence located in the exclusive community of Windmill Reserve! This custom home has it all! Grand porte cochere entrance with circular driveway, 5 bedrooms, 5 1/2 baths PLUS office and home theater, fantastic open floor plan with wood and marble floors, gorgeous views from every room, formal living room with gas fireplace, wet bar with wine cooler, impressive formal dining room, gourmet kitchen with gas stove and top-of-the-line appliances, all together with a spacious master wing with sitting area and luxurious bath. Enjoy the serene outdoor area with screened-in patio, newly refinished resort style pool with spa, and fenced private backyard - all with expansive lake views! Hurricane impact windows throughout and accordion shutters on bay windows. New roof!! Bright 5 bedrooms 4 bathrooms house with lake and pool. One bedroom and full bathroom on 1st floor. New Kitchen with quartz counter tops and stainless steel appliances & 42 wood cabinets, modern wood floors throughout , upgraded bathrooms. Closets galore. Pool with screened Patio. Gated community with amazing club house, 4 pools, water-slide, mini golf, basketball court, soccer, playground, and more to mention. Ready to move (immediate occupancy) in 4 bedrooms and 2.5 full bathrooms family home. Neutral colors. Enjoy Savannas resort style club house with 4 pools, playground, mini golf, soccer field, basketball court and more to mention. Stuning designers masterpiece 2-Story mansion, features 6 Bedrooms, 7 1/2 Bathrooms, walking closets. Elegant draperies and light fixtures custom designed . Smart Home. Oversized kitchen with huge center island. Wolf and Sub-Zero Appliances. Marble and real wood floor in bedrooms. Impact glass windows. Home has a play room with a Brunswick billiard table. Wood Crafted Library. Curved Staircase. Electric Shades. Infinity view Pool, heated with spa. Summer kitchen, granite counter top with Viking Professional Appliances. Resort-like pool area for entertaining and outdoor TV. Art Sudio with exit to the garden. Generac gas power plant, capable of operating the whole house up to 10 days. Central Vacuum System, doors with master key. See attachment list for complete upgrades. 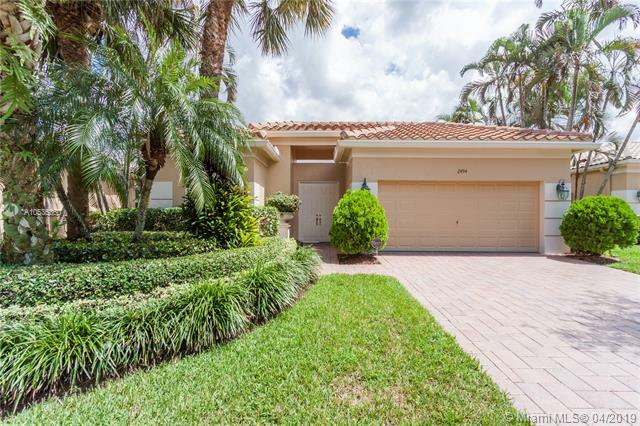 Beautiful upgraded one story home with a Contemporary Flair and high ceilings in the desirable neighborhood of Cypress in the Weston Hills Country Club. Featuring a Spacious Master Bedroom Suite with Sitting Area and Updated Master Bath. Split floor plan with 3 additional Bedrooms with in-suite bathrooms PLUS Den/Office and Billiard/Playroom, and Gym. Gourmet Kitchen with Center Island and Butlers Pantry. Outdoor Summer Kitchen overlooking extended Lanai, Pool and Tranquil LAKE VIEWS. A rated schools and easy access to the highway. Designer finishes throughout, Updated Bathrooms, NEW ROOF, AC, 500 Gallon Propane Tank and Much More! Dont miss the opportunity to see this gorgeous home that is perfect for entertaining. This stylish Chad Oppenheim designed home at Botaniko Weston was crafted with regal ingenuity. It has 6 bedrooms, 6.5 bathrooms, and 4,044 square feet of living area, gold Calacata tile, and an upstairs lined with oak hardwood. The kitchen boasts of Italian-made kitchen cabinetry by Italcraft, an integrated subzero 48-wide refrigerator and freezer, and a Danby Wine Captain Cooler. It is equipped with an electric wall oven and gas cooktop by Wolf with five custom-built floor-to-ceiling closets with decorative drawer fronts,salt water pool, sourrounded by a glorious landscape,summer kitchen completes outdoor oasis. Fully furnished by Artefacto and filled with Tesoro material, this home is made for dreams.